“I’m here and it’s terrifying” was the first thing I texted from the security line leading up to the State House yesterday. I was sandwiched between two groups, speaking as loudly as they could to make sure I didn’t miss a single one of their points. 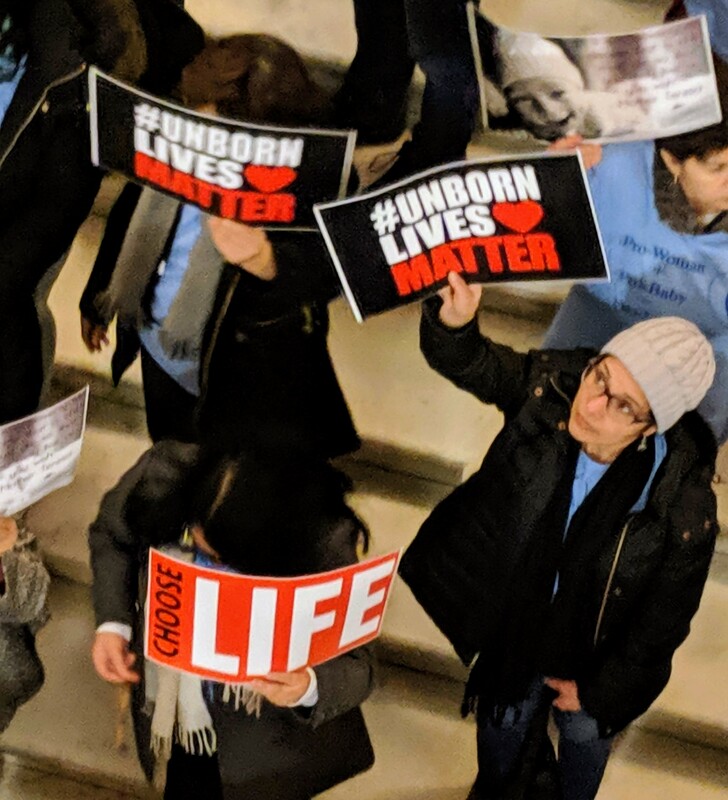 “Everyone here should thank their mothers for NOT having an abortion!” “The girl who’s had TONS of abortions and LOVES to talk about them is here!” “The devil walks among us. Is that a pentagram?” Three of the four people working on the finer points of passive aggression were, of course, elderly men. By the time we made it into the rotunda, I saw a mass of pink signs and made a B-line. Prayers, hymns, signs about how much Jesus loves unborn babies…starts to make you wonder when this stopped being a government building and instead became a church. That’s when the chanting of “LIFE!” started. “LIFE! LIFE! CHOOSE LIFE!” But who’s life? Certainly not the woman’s. And looking around at the faces of teenaged boys and older men screaming these things infuriated me. But, in the midst of the chaos, were a healthy number of reproductive rights supporters, armed with actual facts and a passion to protect the women of this state. Reminding each other that 71% of RI is in favor of the RHCA and thankfully the posters and prayers aren’t enough to take our rights away. That and the testimony that so many incredible women shared about their rapes, their medical stories, their relationships, and their fight to be respected, and the medical professionals explaining the necessity of having all medical options available to care for their patients was inspiring. These fierce, warrior women stayed until 2AM. You heard me. 2. A. M. to make sure that their testimony was heard and was on the record. This is far from over, as we all sadly know in 2019. But if these folks haven’t lost steam, we can’t either! So much to do in the coming weeks and months, with the hope of making this funny little state a bastion for reproductive rights.